Panoramic scenery combines with modern exclusive features describes the exceptional character of the ethereal beauty and idyllic semblance of Villa Anavaya. The beachside spectacle from the villa makes it buzz with a grandeur of excellence that is hard to match. Villa Anavaya oozes with a modern and natural feel and with its extensive facilities; this villa can soothe your nerves and offer you a complete relaxation on your holiday. Carved out for a perfect vacation, Villa Anavaya was built in 2015 and renovated in 2017. Each room in the villa is furnished with some of the most exclusive amenities that will make not want to leave the villa. The villa’s ground floor includes a ninety square meters master bedroom, a 45 square meters and a 50 square meters guest bedrooms, a media room, and a fitness room. The upper floor comprises a living and dining area, swimming pool area, bar area, TV room and study room, and the lower level includes three 45 square meters guest bedroom. Each section of Villa Anavaya is filled with highly convenient and opulent features. The master bedroom provides a vista of the island’s beachside and blue ocean. Relaxing on the master bedroom super king size bed will grant you a panoramic view of the natural surrounding. The master bedroom and the guest rooms share a similar feature of a neatly decorated outdoor balcony with a sofa and two lounge chairs to allow you to enjoy the scenery around. 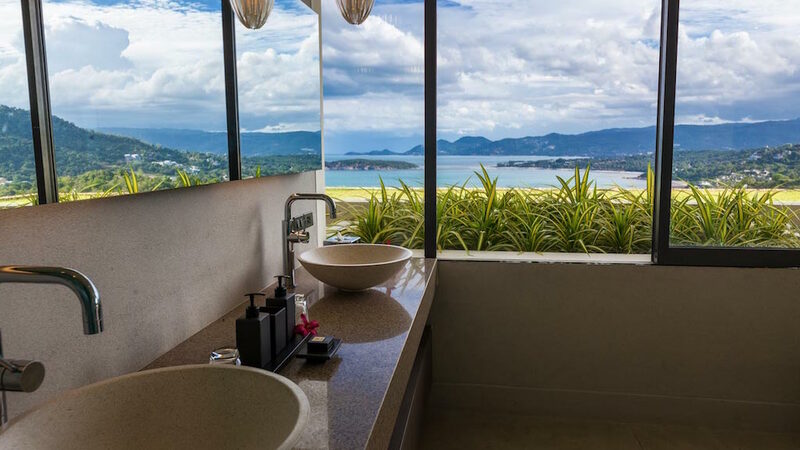 The beauty and surrounding of Villa Anavaya can be defined as the synergic effect of the deep blue sky and sea, paired with the charm of Samui island. Villa Anavaya pays keen attention to the maintenance of the peaceful atmosphere of the villa. The neat and well-decorated bar and kitchen make visitors feel at home with the palatable culinary prepared by the highly skilled chef. Villa Anavaya has well-trained dedicated staff which includes a private chef, and a manager. The staff ensures that the serenity, neatness, and grandeur of the villa, as well as the 5-star service, are maintained, to keep you satisfied throughout your vacation. Read or download Terms & Conditions of Villa Anavaya. Un grand merci à Dej, Wan et toute l’équipe de la villa. Nous avons passé un séjour inoubliable dans cette très belle maison. Encore merci pour tout! Laura et Romain.Thanks a lot to all. We have spent a great time. The staff at the villa take care of all of us. We love the villa. The view is splendid. Everything is quiet and restful. The chef has made us great meals. We will miss you. Thanks for making our stay unforgettable. You truly provided an authentic Thai experience for our large and rowdy group. The villa is indeed luxurious. Thank you for the wonderful hospitality, gracious service & amazing meals. We will not soon forget this incredible vacation. Made all the more lovely by Wan, DJ, Chef and the housekeeping team. First of all the villa just looks as amazing as in the photos and video really offering a million-dollar view that we get to enjoy in almost every part of the villa. 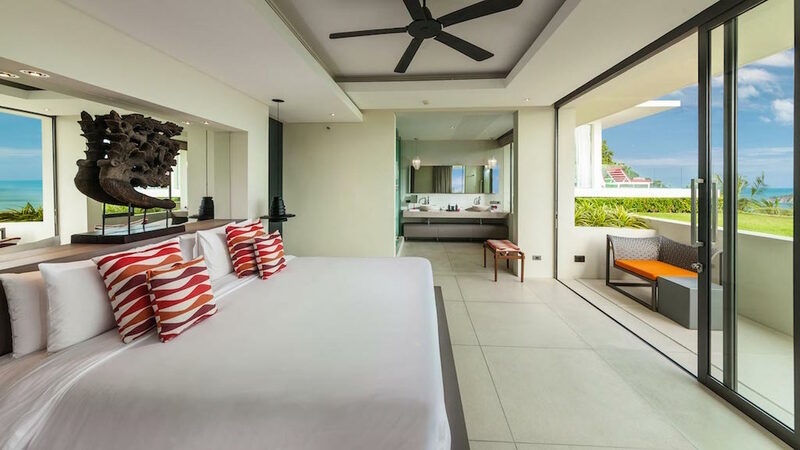 Whether we're in the bedroom, the pool, living room, kitchen, dining, there's a beautiful view of the horizon that extends to the sea and the island of Koh Samui. The service we receive from the villa manager Dej and the staff was 5-star. We love every bits of our holiday and we are very much looking forward to come back soon!